You can save yourself a flood of troubles by installing an automatic water shut off valve and leak detection system. These systems can protect your home from catastrophic water leak damage and prevent surprisingly high water bills. Below, we explain the basics of these systems, their benefits and the amazing new features of these devices. Also, give us a call at (877) 662-4496 or e-mail us at info@waterheroinc.com if you have any questions. We have knowledgable representatives on the phone, ready to help. 1. What is a water leak and what happens when I have one? 2. What is an automatic water shut off valve and leak detection system? WHAT IS A WATER LEAK AND WHAT HAPPENS WHEN I HAVE ONE? Massive water leaks happen in homes – more regularly than you’d expect actually. One in fifty-five homes experience a catastrophic water leak each year. Toilet lines burst, pipes freeze, refrigerator tubing cracks – the possibilities are endless. These leaks, on average, cause $8,000 worth of damage to the average home. Regularly, though, they can cause $100,000 of damage or more in an average home. Imagine if a water leak occurs when you’re away for the weekend – it could easily flood your home, essentially “totaling” it. It doesn’t just mean tens of thousands in damage – it also means that you have to vacate your home for water remediation contractors. Mold removal, sheetrock replacement and more need to take place for you to get back in your home. WHAT IS AN AUTOMATIC WATER SHUT OFF VALVE AND LEAK DETECTION SYSTEM? Automatic Water Shutoff Valves and/or Leak Detection Systems safeguard your home and prevent damage from water leaks. An automatic water shut-off valve detects water either by monitoring flows in the pipe or by detecting water on the floor. When flow is irregular or moisture is detected, the valve will shut off the water supply to your home. These can prevent a significant amount of the damage that water leaks cause. In general, you can subdivide automatic water shutoff valves into two different types (1) Moisture Sensor Systems and (2) Whole House, Flow Based Leak Detection Systems. Generally, insurance companies and homeowners prefer Whole House Systems because they are more comprehensive in home protection, have less false positives and you don’t need multiple sensor pucks scattered around your home. Generally, you’ll find that find that older systems consist of a variety of moisture sensor systems as well as flow-based leak detection systems that are not connected to the Internet. Moisture sensor systems can be insufficient for many reasons. Firstly, as mentioned above, 10+ moisture sensors can be required to effectively protect your home. You would need to place one in each bathroom, on each floor and near each appliance and under each sink. And they often get kicked out of place, further reducing their effectiveness. Secondly, moisture sensors are very prone to false positives. Many users report false alarms; for example, humidity is prone to set off the moisture sensors which can be annoying. 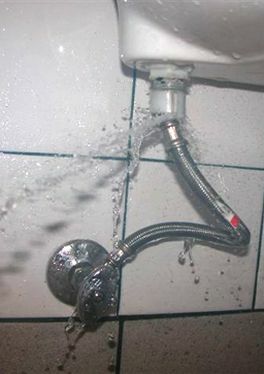 Worse yet, too many false alarms can push a user to completely disable the system out of frustration, leaving the user unprotected from burst pipe damage. Thirdly, many valves need to be wired directly to the main shut-off valve in order to operate. This makes it complicated to install and manage wiring throughout a home. Though these valves may be somewhat cheaper, they lack the protection needed to effectively protect your whole home from burst pipes and water damage. 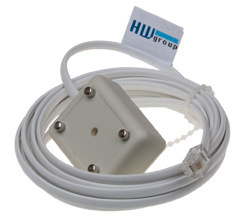 Older whole house flow based leak detection systems enable the type of protection required but lack Internet connection, require wiring to link up to other appliances and are significantly expensive, costing approximately $2,000. Reliance on an old school control panel in your basement make false positives inconvenient (e.g. go downstairs in your basement and turn back your water) and lack web-based functionality to adjust settings and valve position on the road. They also provide no water use data, which can offer significant savings on water bills from non-damaging, but costly water waste from items like a running toilet (which can cost over $1,000 per year). 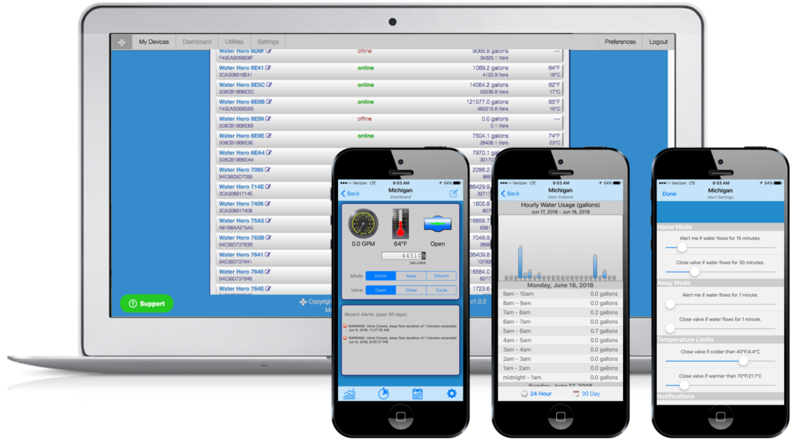 The price point, lack of usage data and lack of controls can make these leak detection systems a poor option for the majority of the homes in the U.S.
Water Hero is the next generation of Leak Detection. It provides comprehensive whole house leak protection. It is also an internet-connected (an Internet of Things, or “IoT “ device) leak detection and automatic water shut off system. Water Hero uses a flow sensor, shut off valves and a traditional water meter made “smart” with our advanced electronics. Our flow sensor reads and digitizes flow information at 200 times per second, making an old school water meter smart. When the water flow exceeds user set thresholds, Water Hero sends the user a text/e-mail and can automatically shut off their water. Water Hero also has a temperature sensor that can send you a text and/or email alert when you’re at risk of freezing and a back-up battery so that it functions when your building is most vulnerable – when the power goes out. Best of all, everything is controlled over the web or through your smartphone so you can easily change your settings, open and close your valve, see real-time water usage and more. Emerging types of system that are becoming available are non-invasive systems, including the Water Hero K-100 system. The theory behind these systems is that they do not require plumbing for installation. Though installation of these systems is simpler and easily done, you are unable to shut-off your water automatically or remotely with these systems. That said, they are valuable to get alerts when there is a potential water leak. They also require a fairly specific set up for installation. For example, the Water Hero K-100 requires an indoor water meter, power and Wi-Fi to operate. This represents about 40% of North America, including the wide majority of homes in the NorthEast, Upper MidWest, and Canada. Reach out to us to learn if the Water Hero K-100 works with your home piping. Once you decide that you need a leak detection & automatic water shut off system, you’ll need to consider installation. Most systems are invasive, meaning that they are cut into the pipe right where water enters your home or building. All damaging and (in the case of Water Hero) non-damaging leaks are detected after the point of installation of your leak detection system. All flow going through your leak detection is monitored. Let’s walk through a plumbing installation with the Water Hero P-100 system. That’s it. The plumbing installation takes about 30 to 60 minutes and is considered a simple install. That is because it uses a traditional water meter and stainless steel motorized ball valve. If your leak detection and automatic water shut off system has a central alarm, or automatic shut off and notifications sent to your phone/e-mail, you could be eligible for annual discounts off your insurance premium. Water damage claims top the charts as the most common cause of insurance damage. In fact, they cost the US Insurance Industry $10 billion yearly in claims, and are the number one claim area at 30%—seven times bigger than fire damage! Because of this, many insurance companies want to incentivize you to install a whole house leak detection system, and will provide you with a discount if you install a Water Hero system. We have seen these discounts in the range of $400 per year or more and are typically in the range of $250 per year. Reach out to your insurance company to better understand what types of discounts that you can receive from a leak detection system.